Lack of jobs and employment compound the huge challenges in a country rebuilding after years of war, where the majority of the population lives in poverty. 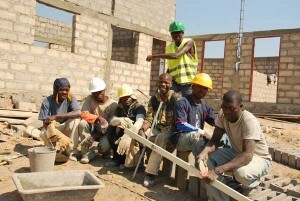 Construction of RISE schools provides jobs for laborers, apprentices, masons and project managers on building sites. Teams are developed and move from one school upon its completion, to the next, using their learned knowledge and experience. RISE schools also establish the need and opportunity for teachers and a principal at each school site. 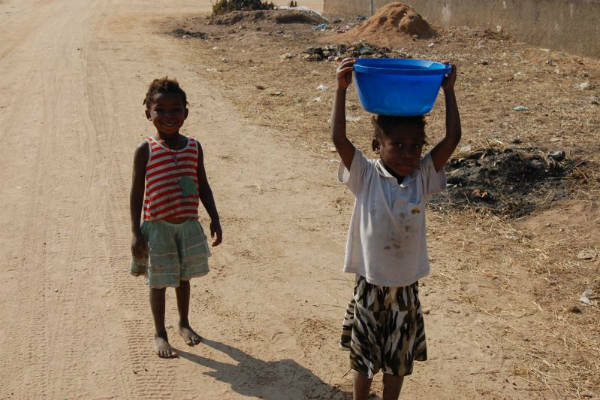 Angolans long for education for their children, yet life is difficult – clean water, shoes, school snacks and meals are a motivation to attend school. 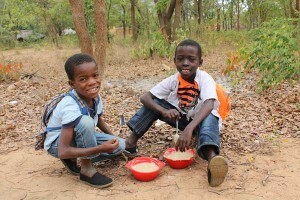 At several RISE schools, children receive a meal from JAM (Joint Aid Management) – JAM provides a meal for 237,000 school children in the Benguela Province each day. The meal, fortified corn-soy porridge, is prepared in huge pots over an open fire. Parent teacher associations at each school provide support by preparing and serving the meals. Kids line up and wait to receive their bowl of mush…for some this is their only meal. RISE became a TOMS Shoes Giving Partner in 2012. With every pair of shoes purchased, TOMS gives a pair of new shoes to a child in need. One for One™. 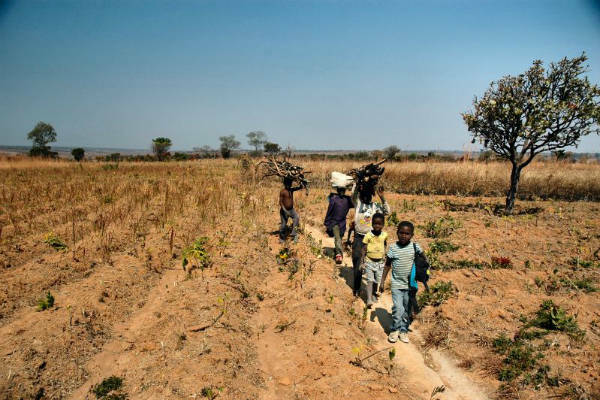 Most children in Angola, particularly in rural areas, do not have shoes. Distributions began in 2012 and were completed in 2016 – kids are thrilled to receive a new pair of shoes! The gift of shoes serves as an incentive to attend school, and will protect their feet from cuts, infection and disease. 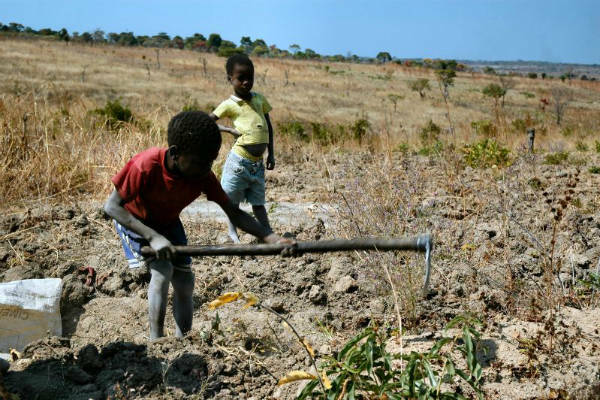 Funds for wells at 24 sites in rural Angola have been donated by individuals, Celebration of Hope at Willow Creek Community Church, Rotary, and as part of the Validation Pilot Project Grant from the Children’s Prize. 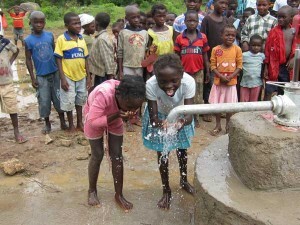 Children are delighted to touch, splash and drink clean water for the first time! Clean water is life changing – there is immediate impact on health, and women and children no longer need to spend hours each day carrying dirty water from a river. Wells at school sites allow for education about the importance of clean water, sanitation, health and nutrition. Once a RISE school is built, the Ministry of Education hires and pays the teachers, as well as sets the curriculum. The teachers are ready to begin as soon as the school is dedicated. There are many challenges, with limited training, no additional books or resources, complexity with housing and transport depending on where they are placed, student and teacher absenteeism, and yet a committed teacher can have a huge impact in the lives of the children who now have a chance to go to school because of RISE’s involvement. 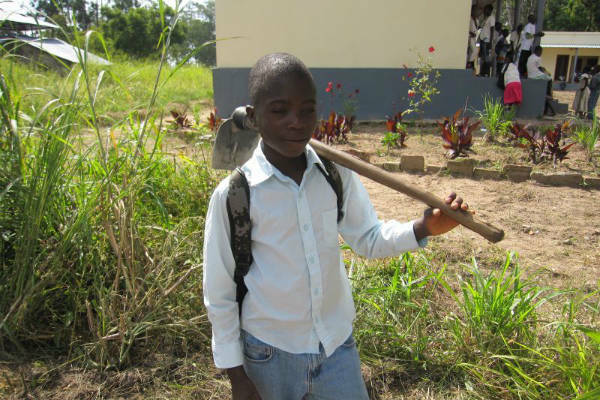 It is estimated that between 513,000 and several million Angolan children have no opportunity for education – some “of the fortunate” school under trees, carrying their own chair, stool or can to sit on. Without a building, children learn in the hot sun, and if there is rain, cold or wind, there is no class. A school changes that and once a RISE school is complete, the Ministry of Education provides desks and chalkboards. Classrooms facilitate learning – students are more engaged, able to concentrate and serious about their studies.